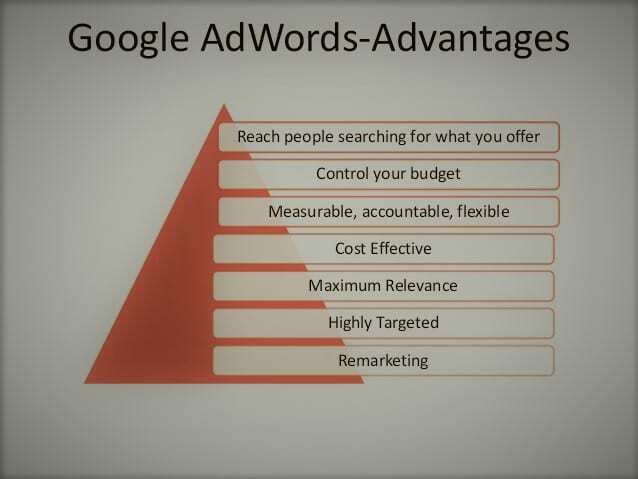 Google AdWords is Google’s advertising ecosystem, wherein the advertisers bid on specific keywords. Such that the advertiser’s ad is discovered prominently as a paid ad when someone searches for something on Google using those set of keywords OR the advertiser can opt for the ads to be burned as a display ad on Google Adsense partner publications, or both. 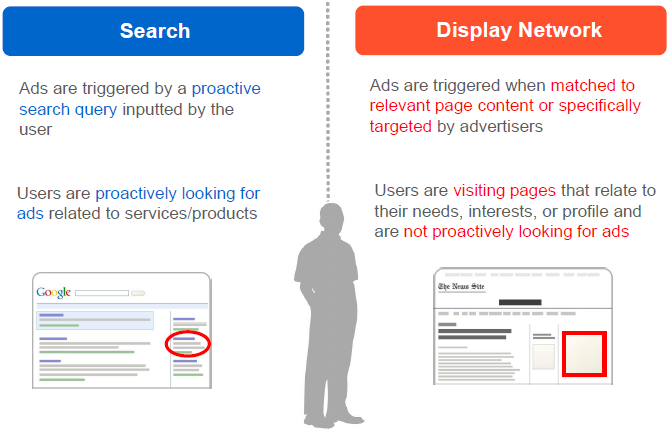 Mostly google strives to display ads with a high a degree of contextual relevancy. 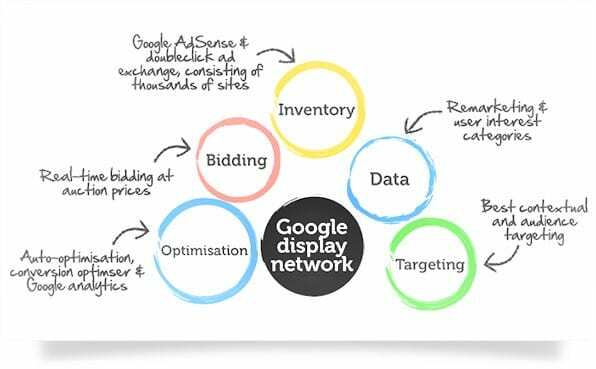 Google Display Network comprises of Google websites such as Google Finance, Gmail, Blogger, Youtube, etc. along with a million of non-google sites. GDN also comprises of mobile websites and apps. The Display Network was until recently being referred to as Content Network. The Display network spans the vast majority of the indexable web. Google Search Network is the most well known and common form of PPC advertising. Search Network is a list of search engines where the advertiser’s ads will appear; Google is the primary search. 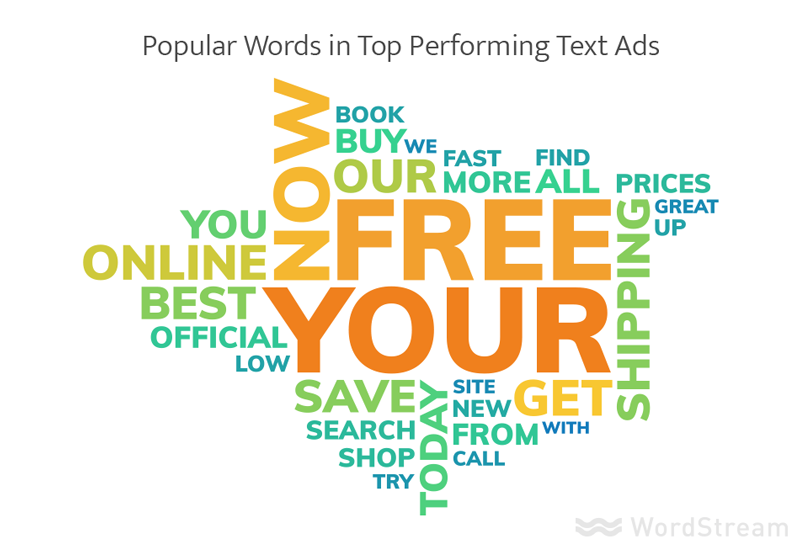 It is only possible to run text ads on the Search Network. It is expected that ads other than text ads will also be possible in search results soon. It is important to segment the client’s budget between the above networks basis how these networks have performed or will perform for the client’s campaign. 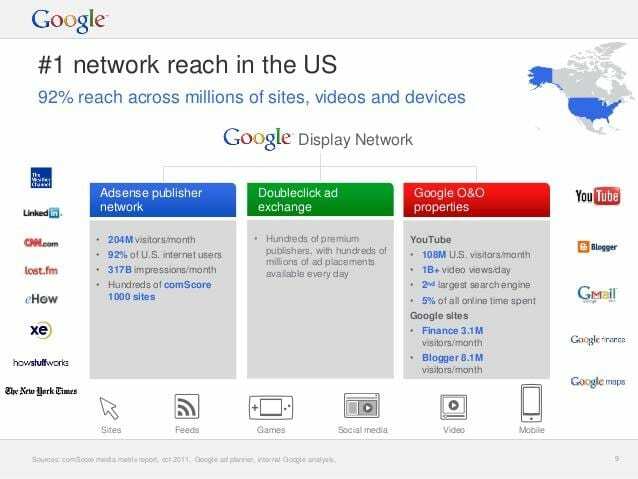 The CTRs may not be great, but Google’s Display Network offers advertisers unparalleled reach. Display ads on the Google Display Network and other networks in general often have significantly lower click-through rates (CTRs) than PPC ads. However, the CTR of our online display ads will increase significantly when paired with smart targeting options such as remarketing and life-event targeting. As with search ads, displays ads drive more ROI when we can achieve a higher click-through rate. We lower our cost per click across our campaigns by raising our Quality Scores. Quality Score is largely a result of achieving a higher than expected click-through rate, so we increase our click-through rates by writing highly relevant ads that hit searchers on an emotional level so they can’t help but click. Our ad position and our cost per click are determined in part by the competitive landscape and in part by our own maximum bid (the max amount we’re willing to pay for each click) and Quality Score (a measure from 1 to 10 of how good our ads are). 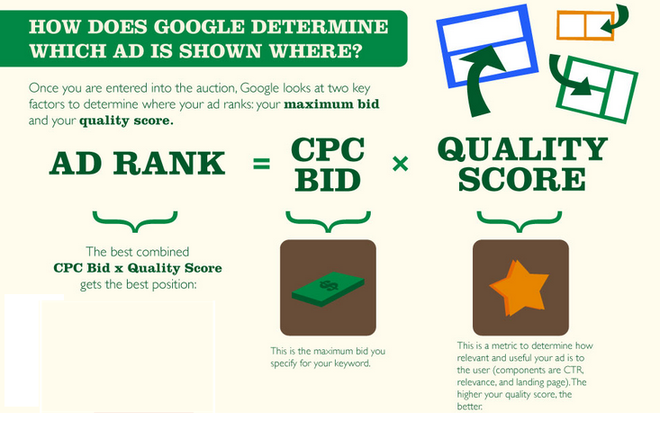 A higher Quality Score will raise our ad rank while lowering our CPC. There are many other factors that will affect our CPC. For example, CPCs can vary widely from one geographic location to another, even for closely related keywords and search terms and from one industry to another. For instance, CPCs for financial keywords are often significantly higher than those in other verticals. The average cost of an advertisement on Google Ads (AdWords) is $2.32 per click on the search network.The average cost per action (CPA) in a Google advertising search campaign is $59.18. 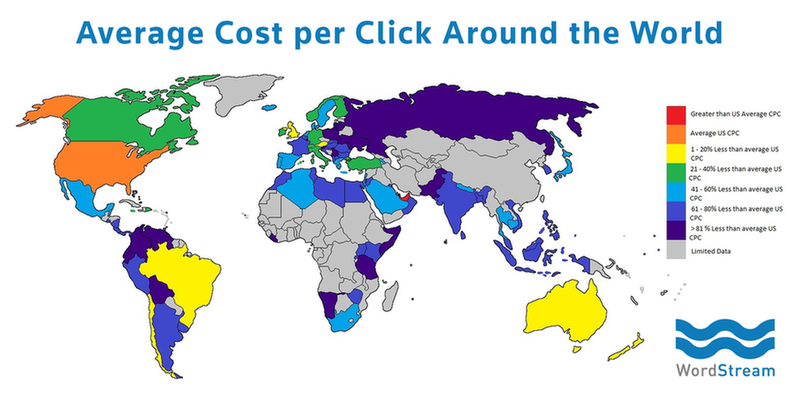 The most expensive keywords in Google advertising and Bing Ads cost $50 or more per click. 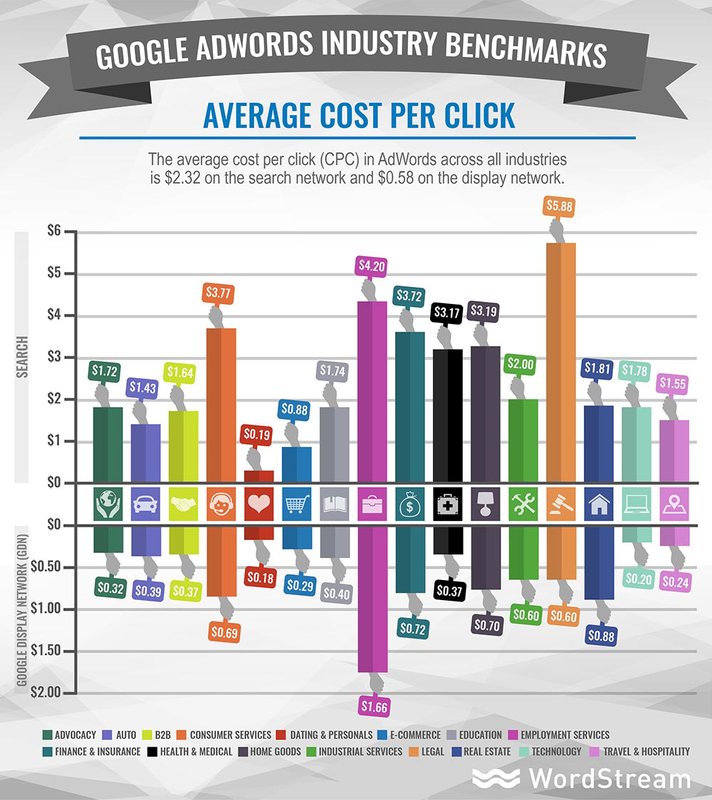 Average Cost Per Click (CPC)The average CPC in AdWords across all industries is $2.32 on the search network and $0.58 on the Google Display Network. There are a few other techniques we can use to reduce our Google AdWords ad costs. The first is a technique known as day-parting or ad scheduling. This allows us to specify windows of time throughout the day when our ads can be shown. We strategize and execute Google AdWords campaigns on behalf of our clients. Get in touch! Lets talk.